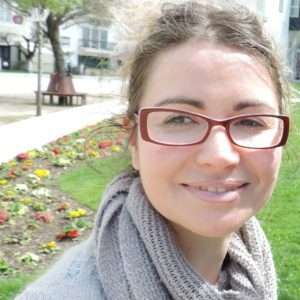 Nuria Genicio Bouza is a Research Fellow working half time for the Nanomedicine group and half time for the Department of Life Sciences. She will be involved in different projects within the department, giving either technical support as well as hands-on support. In particular, in the Nanomedicine group, she will be carrying out studies on cells-nanostructures interactions, as well as the characterization of designed nanomaterials and their performance and preclinical validation. She took a BSc in Chemistry at the University of Santiago de Compostela and an MSc in Biochemistry at the University of Salamanca. As for her professional career, she worked in several institutes, such as CIC biomaGUNE in Basque Country, under Professor Penadés supervision; later at the Institute of Ophthalmology-UCL in London under Clinician Scientist and Consultant Ophthalmologist Alex Shortt; and, finally, at the CBMA-University of Minho. Tarín C, Carril M, Martín-Ventura JL, Markuerkiaga I, Padró D, Moreno JA, García I, Genicio N, Plaza S, Blanco-Colio LM, Penadés S, Egido J.
Gallo J., Genicio N., Garcia I., Padro D., Penadés S.